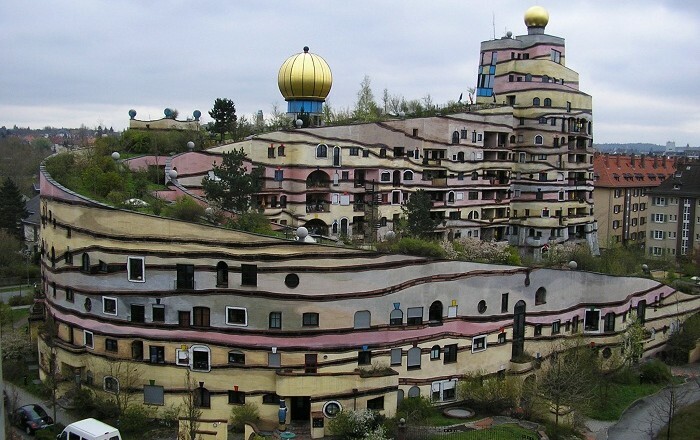 Waldspirale is a unique architectural residential building complex, which is located in the city of Darmstadt, in the Federal Republic of Germany. 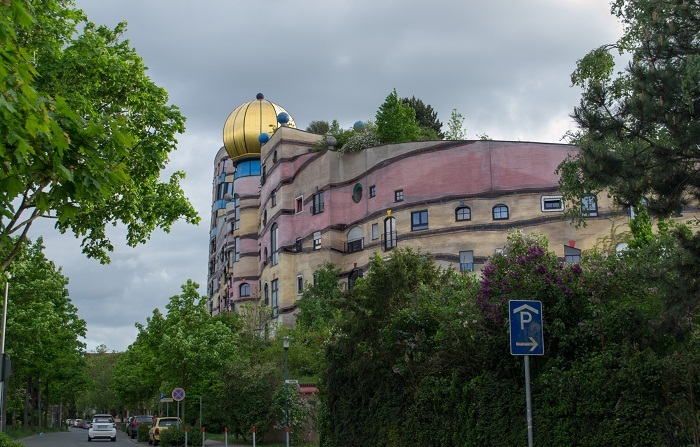 When the name is translated into English it has the meaning of “Forest Spiral”, which it definitely is when one would see it in a photo or in person. 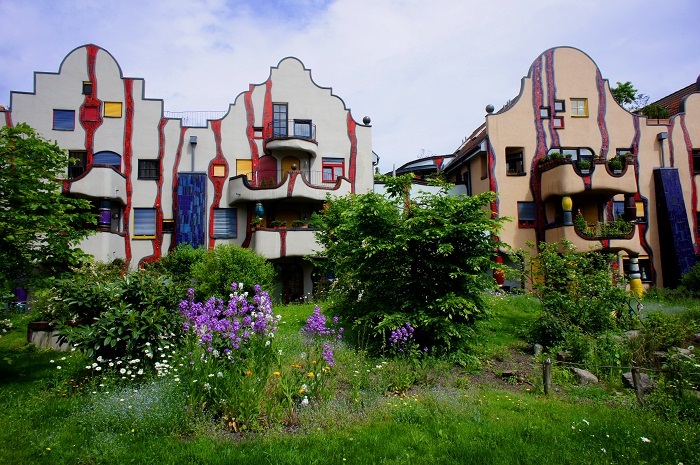 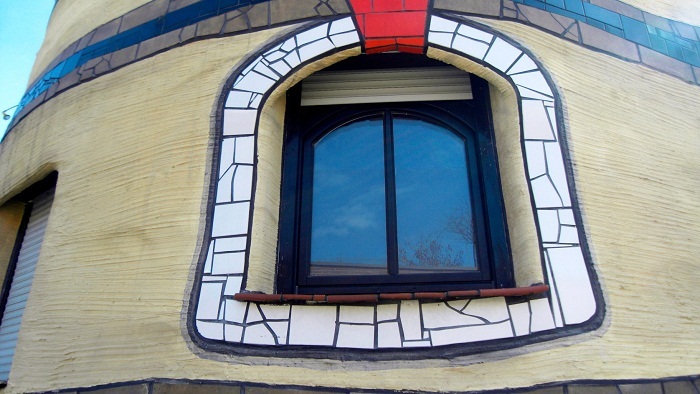 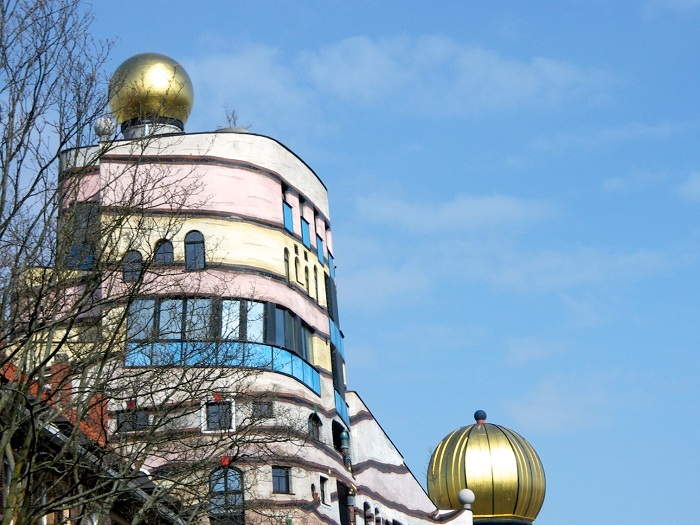 It has been designed by the Austrian artist Friedensreich Hundertwasser, planned and implemented by architect Heinz M. Springmann, and constructed by the Bauverein Darmstadt Company completing its construction in 2000. 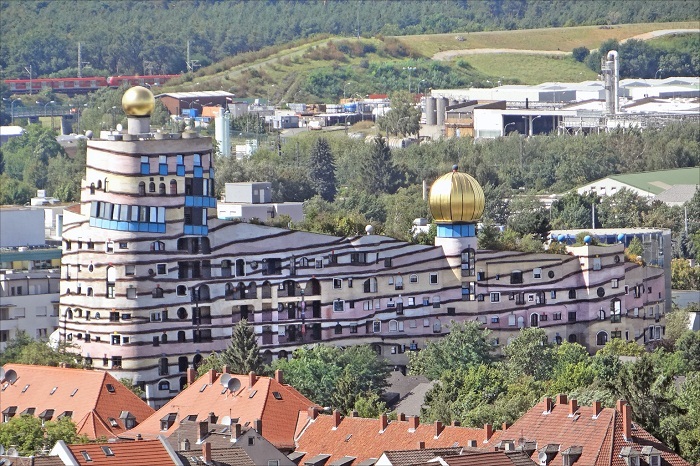 There are 105 different apartments with a parking garage, whereas the building is in the shape of the letter U. 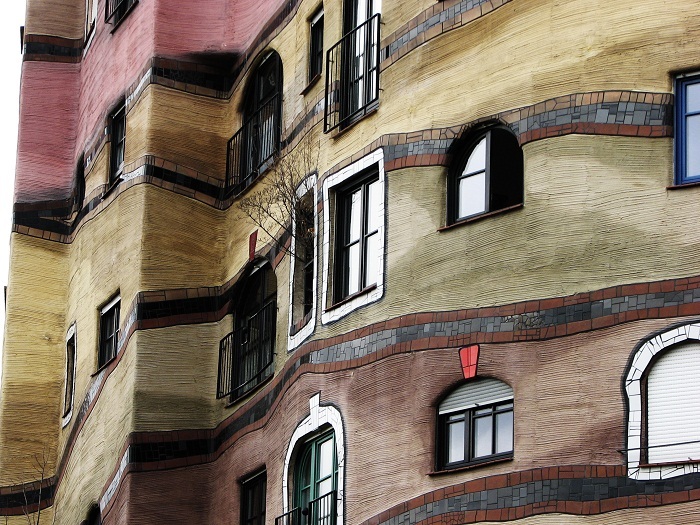 The building gently curves round to partially enclose a courtyard, while the façade subverts the notion of regular grid organization. 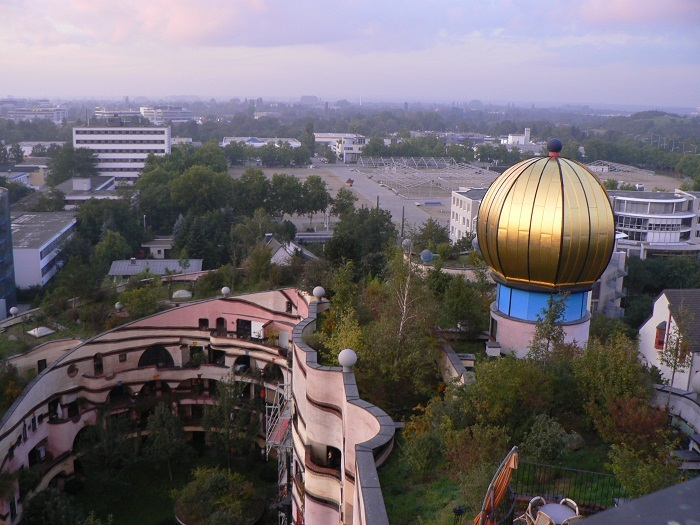 It features gilded onion domes on the roof, much more like the ones from the Russian Orthodox churches, colorful ceramic columns and more than 1,000 windows, all of which are uniquely shaped. 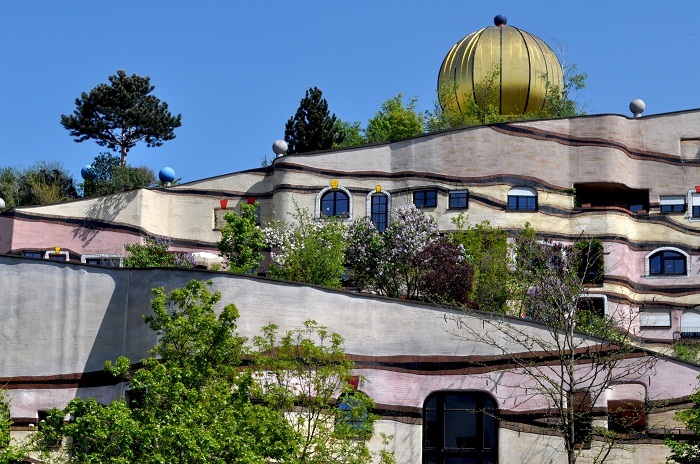 As the style of the Austrian artist is to avoid rectangular forms and straight lines, it can be seen all around the building, especially in the unique unorthodox roof which is diagonal, planted with grass, shrubs, flowers and trees, and rises like a ramp along the U-shaped form of the building. 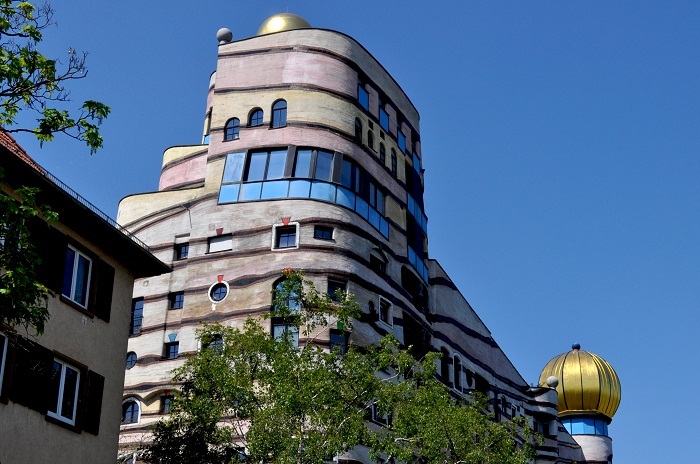 With the purpose to include the local building materials in the structure, layers of sedimentary rock found at the site are reflected on the building’s façade in bands of ceramic tiles and multi-colored stucco in earthy tones. 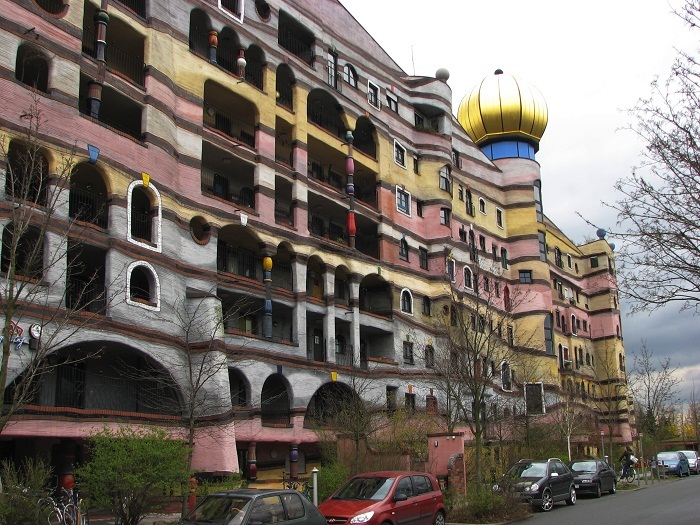 At the end of the building, which is the highest point actually, there are 12 floors. 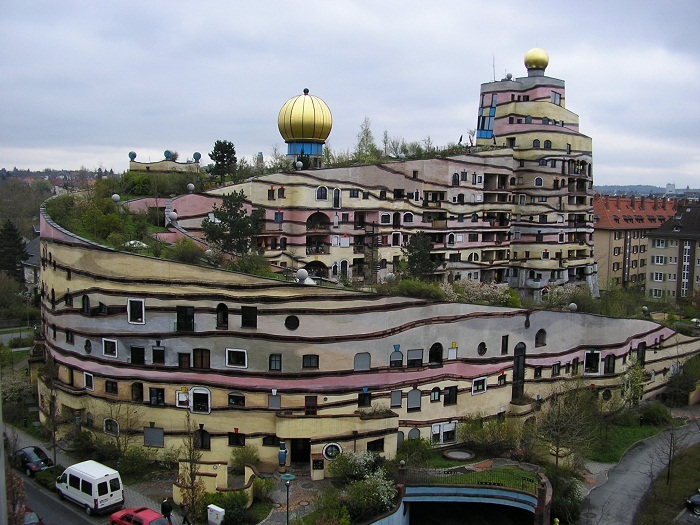 As it is one of the magnificent masterpieces of architecture found in Germany, this building is the dream home to some people who have been dreaming of living in a unique style, very unorthodox, somewhat defying the geometry building.